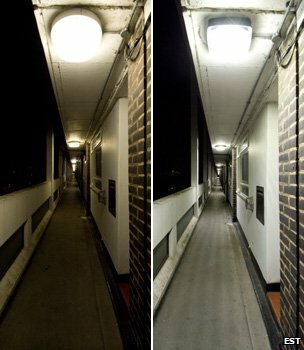 LEDs can reduce cost, create various lighting moods and be installed as effective replacements or additions in all environments – a little expensive to buy at the moment, but possibly worth it in the longer term as they last “longer than you do” and cost a fraction of other lights to run. Light-emitting diodes have been around for years. Traditionally, they have been used as indicators on electrical devices, such as standby lights on TVs. This was because LEDs were only available in red, but recent advances means that other colours are now available, and the light emitted is much brighter. White light (used for general lighting) using LEDs can be created via a number of techniques. One example is mixing red, green and blue LEDs. It is suggested that LEDs can last for up to 100,000 hours, compared with the 1,000 hours of traditional incandescent light-bulbs and compact fluorescent lamps’ (CFLs) 15,000 hours.